Swanky New Business Cards	Collect yours at Norwescon! With our new site and logo change, we had to order new business cards too. We’ve changed a lot since our first batch and it was time for an update. 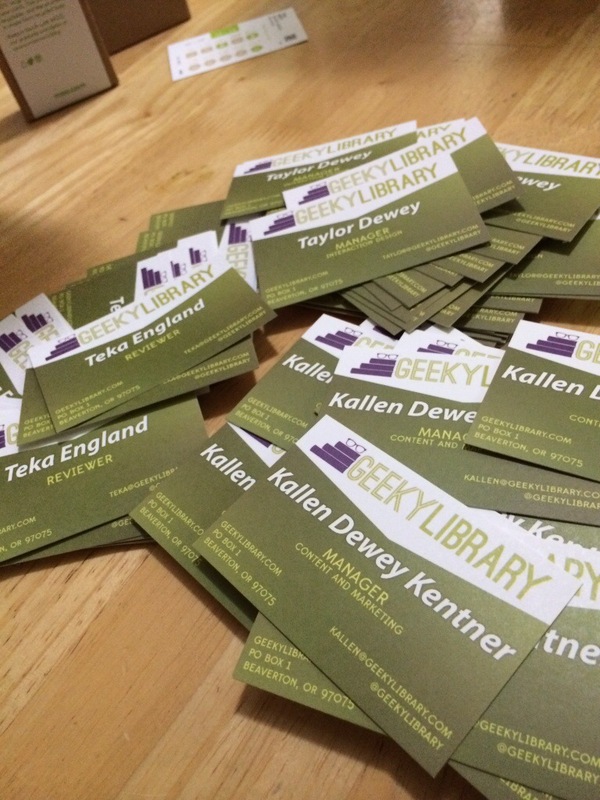 Our new GeekyLibrary business cards also have space on the back. In case we want to write down a book recommendation, perhaps? We’ll be heading to Norwescon 37 soon, so if we meet up with you there, you might end up with one.